Many are too confused what is the difference between a blog and a website. In this article, we will help you clear the air on what is the difference between the two. A website is anything, providing you a collection of pages on the World Wide Web or any place you can visit online with a URL (http://domain.com) which allows you to view a content. Website is static and contents are organized in pages and is not updated frequently. Example of websites are Ecommerce sites such as Amazon, EBay or community forums like Quora or Google Forums or some social media networks like Facebook. A blog on the other hand is a website or a part of a website (Web Log = Blog). It has the most recent content with a conversational style where it is updated frequently and some bloggers publish new articles in a day. The original blog were updated manually by a blogger and linked from a home page or archived by dates, category, sub categories, author, tags and RSS (Really Simple Syndication) feeds.The more updated the blog, the more attention it will get. You can easily start a blog on Blogger, Tumblr or using a CMS (Content Management System) application like WordPress. WordPress is the most common application used by bloggers, providing with the entire system including design templates. Be it a website or a blog, this depends on your type of online presence. If you can’t decide which one you wanted to use, you can combine the two and have a blog set up on your web page. We suggest keeping your website and blog modern and user-friendly. In the end, a website vs blog all depends on you. What is the purpose of having SSL? SSL protects your sensitive information as it travels across the world’s computer networks and it is the backbone of internet security. It is essential for protecting your website even if it does not have sensitive information like card details as it provides privacy and data encryption for both website and personal information. The main reason why we need to use SSL is to keep sensitive information that has been sent across the internet so that the only end user or recipient can only have access to it. see your sensitive information such as passwords and card details if it is not encrypted with SSL. When an SSL certificate is used, the information becomes unreadable to everyone except for the server you are sending the information to. This protects it from hackers and identity thieves. What does SSL provide to end users? server and not to any impostor who are fund of stealing information. When accessing the website, most browsers shows if your website can be trusted or not. This will be a visual cue such as lock or a green bar to make visitors feel safe and make sure they are secured. One most important thing about having HTTPS is that, they protect against phishing attack. A phishing email is an email sent by a criminal who tries to impersonate your website. A website cannot be live without a hosting service. If you want to build a website for personal or business , all you need to do is look for and invest in a solid hosting company. It is where you store all the necesarry files for your website to function. These files usually include your HTML and CSS files, documents, media files, and more. Web hosts manage these files in their server where you rent out and they are makinjg it easier for you to host your site so visitors around the world can access your website online. Why do you need a web hosting? First is you have the full control. This is a need if you want to manage and update your website in easy access. You can have control panel to access it everywhere for as long as you have internet. Second, customization options. Your website shares branding with the free host. This lessens your credibility with customers, and impacts the overall look and design of your site.So when you host your website, you are in full of control of it. You can do any customization you want and will only be limited with own creativity. Last thing to consider is safety. Hosting your website on hosting companies will include overall securoty of your site. When you are starting a company or a new brand and you want to take it online, would need to think of a domain name to use before embarking to the technical specifics like the kind of hosting and some other factors. Domain names impact your brand and your online marketing – that’s a fact. It has a massive influence in terms of search engine ranking, search to social media results, type-in traffic and offline advertising. Choosing the right domain name for your brand maybe tedious for some but we will provide you some tips on how to get the right domain name. The fewer characters a domain name has, the easier it is to remember. It’s also more convenient to type, say and share on social media. The shorter is better. are based in that country. Yes, most people may be typing or clicking it. However, it’s important for a domain to be pronounceable because of “processing fluency”. A cognitive bias that human beings have where we remember (and have more positive associations with) things that we can easily say and think about. That includes pronounceability in our own minds. If you can’t easily say the name, you’re going to lose processing fluency, memorability, and the benefits of brandability that you’ve created. Make sure that the domain you will be choosing is not trademarked. Trademark owners can attempt to sue a domain name owner, who’s owning the domain legitimately and using it for business purposes. Registering a domain name that may have been trademarked will also create brand confusion. From an SEO perspective, using the right keyword in your domain name can help. Google has been biasing away from these exact match and partial match domains, but the anchor text you get from people linking to your domain. Also, make it intuitive. Make it obvious what your website is about. When you want to create a website for your company or brand, you don’t only consider the right domain name but you would also need to make sure you select the right web hosting company. Afterall, more than the quality content, website security and performance is very significant when it comes to your branding. When your website is down, you will start to lose the interest of your visitors resulting to lost of revenue. Aside from that, long downtimes will also cause your search engine ranking to drop. Choosing the right web host will help avoid these problems. Here are some tips on how to choose the right web hosting for you. Know what type of hosting you need. – What type of website are you building? – Will you be using common CMS applications like WordPress? – Does the website need special software? – Is it going to have an online store? – How big is it when it comes to traffic? – Are there going to be a lot of high-resolution images and videos? For newbies with small businesses, it is best to start with shared hosting plans. It’s cheap, easy to maintain, and enough for most new sites. You will also need not to worry about the other server-side configurations. Websites with a lot of daily traffic will most likely experience a lot of hiccups under a shared hosting plan. Aside from that, you would also need to factor in the specs of the plan they are offering like the disk space, how many add on domains you can have, number of email accounts, one click installer available, SSH and FTP features etc. You can always scale up to a Virtual Private Server once your site grows and receive a lot of traffic. New websites may not use a lot of bandwidth, it is important to anticipate for a sudden spike in traffic. Make sure that the shared hosting plan you will choose does not limit you on terms of bandwidth. It is also important to consider the operating hours of the potential web hosting company you will be selecting. Afterall, some visitors may be on a different time zone. You need to get a web hosting provider that has a high uptime and has a stable network connection. 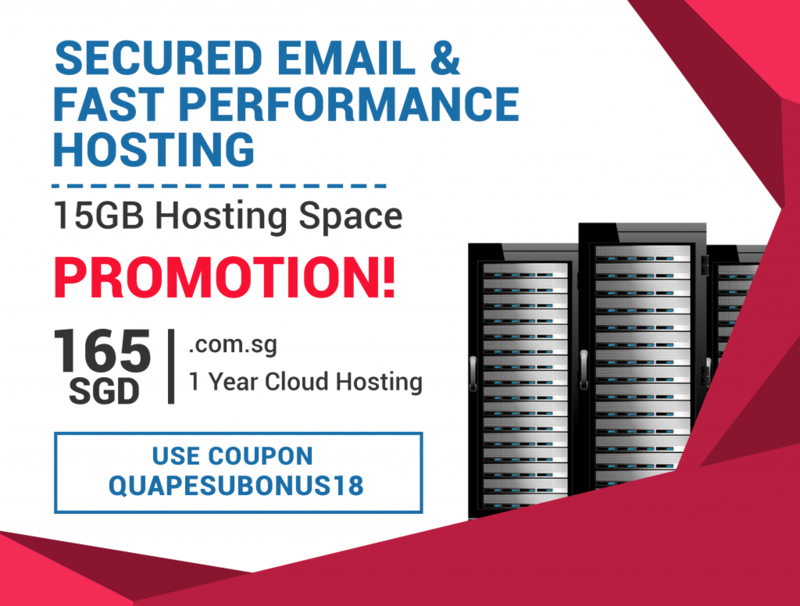 There are a lot of shared hosting deals especially for new customers. Please be advised that this often comes with a much higher renewal cost. Although this is an industry norm, you can always read or check out the ToS for the renewal price. A reasonable renewal amount should not be more than 50% of the sign up cost. For example, the introductory price is at $5/month, therefore the renewal fee should not be more than $10/month. If you expect your website to grow over the years, you would need to leave some room for growth. Choose a hosting plan that is scalable or that can offer you better plans. The ability to have a seamless transition from one server to another if you need to upgrade from shared hosting plan to a Virtual Private server is one important thing to consider. A user-friendly control panel with extensive functionality is very important. It doesn’t matter if it’s cPanel or Plesk or even a third-party control panel. Without a user-friendly control panel, you will always find yourself contacting the hosting tech support staff – even if all you need is some basic service. – How often do you do full backup? – Can site backup be done manually via the control panel? – Can I restore your backup files by myself easily so I don’t have to wait for support staff to do it for me during a period of disaster recovery? When you are researching web hosting companies, you would need to also check out their support group. What are the support channels they provide and if they have a very good knowledge base when you want to do things on your own. Researching a web hosting company through third party reviews is very useful in discovering any common issues and complaints from current or past customers. Refer to reputable websites when doing reliability research. Your web hosting provider plays an important role in your branding. Always consider the big factors and anticipate for future problems that may occur and do your research. How to avoid non-secure sign on your website. Having a secured website is important to companies. In September 2016, Google announced that they will be rolling out a few changes. This includes labeling websites without SSL Certificates as ‘non-secure’– especially for web pages that collect credit card information and passwords. They have started labeling some websites during the roll out of Chrome Browser version 56. Google has been urging website owners to install SSL Certificates and convert their sites to HTTPS. Secure Socket Layer or SSL helps to get the site secured by encrypting the data as it travels from the browser to the server. This ensures that users can browse and enter their private information without it being compromised by cyber hackers. When a website is labeled as non-secured in the address bar, it means that the data travels through unsecured network connection. Chances are, cyberhackers can obtain the data and modify it. Google has stepped up its web security campaign by having the Chrome browsers show the ‘Not Secure’ label when users enter any type of data on an HTTP web page, even in Incognito mode. This includes any text entered in the search box. This browser notification alerts visitors that their data may not be totally secure; which may cause some visitors to leave their sessions early. To avoid getting your site marked as non-secure, you need to install an SSL Certificate to your website and convert your pages to HTTPS. Now that Google is marking non-HTTPS sites as “not secure”, websites with an SSL certificate installed will get the benefit of being marked as “secure” in Chrome browsers. Google previously announced that converting your site as an HTTPS site would boost your search engine ranking factor. HTTPS can also help provide some protection against bad actors in the ad ecosystem. This means that Ad that route you to an HTTP website cannot show on an HTTPS site. In a nutshell, having an SSL certificate and converting your web pages to HTTPS will secure the data being transmitted from the browser towards the server, this will also help remove bad ads and improve SEO. What is WooCommerce and how to use it? If you stumble across this post chances are, you already have an existing WordPress site. If you want to start selling products online, WooCommerce may well be your best option. WooCommerce is a free WordPress plugin made by Automattic, the corporate arm of WordPress and was launched in 2011. The plugin adds an E-commerce functionality to your WordPress site along with its additional features available as an extension in just a few clicks. WooCommerce provides basic store functionalities right out the box. The plugin can be installed from the plugin repository or straight from your WordPress dashboard. And just like WordPress, WooCommerce is free, open source and has a strong development team behind it. More importantly, it’s easy for beginners to use. The installation is simple and would only take a few clicks in your WordPress dashboard. The inbuilt Setup Wizard will walk you through the basic configurations to get your store up and running. The Setup Wizard will allow you to setup the vital steps and highlights the important options. To add WooCommerce to your WordPress site from your dashboard head to Plugins → Add New and search “WooCommerce” to locate the WooCommerce plugin. Click Install Now then Activate. You’ll then immediately see the WooCommerce Setup Wizard. You would need to fill in the relevant data for your store. After the activation, you will see that the plugin has added a couple of options and menus once you head back to the WordPress Dashboard. After doing the initial setup, the first thing to do is to add some products. Those are the things you will be selling. To add the products, go to Products → Add New and you’ll be forwarded to the product page. It’s like adding posts or pages, but specifically for WooCommerce products. You will need to fill in the product name, description, product data, and the relevant images. If it’s your first time adding a product, WooCommerce will provide some helpful prompts telling you a little about each section. Once you’ve added in all your information, hit publish and you have your first product available on your site. Of course, you will need to also setup the payment gateway unless you are giving the product away for free. WooCommerce comes with a couple of payment gateways built in, including PayPal. There are other options, such as check and payment on deliver too. If you want to setup credit card payment, you may add other plugins for credit card payment such as Stripe. You’ll find your payment gateway options under WooCommerce → Settings → Checkout. Choose either PayPal or Stripe and use the check box to enable your gateway of choice. Then follow the instructions to sign up for relevant accounts and connect them to WooCommerce. With your payment set up, you’re able to start selling! With WooCommerce, sky is the limit. There are over 450 extensions and counting which means that you can configure your shop in virtually limitless ways. You can install free and premium extensions from within the WooCommerce shop suited for the way how you would like your online store to go. In setting up your new blog, you can use the ‘discourage search engines from indexing this site‘ feature of WordPress until you’re done with working on the structure of the blog and ready to launch it. This option disallows search engines (bots) to crawl your pages (handled from robots.txt). 2. Update default permalinks structure. By default, WordPress uses ‘?p=[id]‘ permalinks for posts and this is not search engine friendly. You’ll end up lossing the opportunity to put a few important keywords in post permalinks if you don’t switch to a text-based permalink structure. It is best to use the format “yourdomain.com/post-name”. Depends on the structure that is more convenient for you. 3. Installing .xml sitemap plugin. Installing an .xml sitemap plugin is useful for WordPress blogs. It provides engines like Google links to all the pages on your site in a sitemap, preferably in the .xml format, helps them index your site content faster, in an easier way. 4. Install an SEO plugin. Installing a must SEO plugin as it can take good care of numerous SEO aspects of your blog automatically. Once installed, it is best to enable rel=”canonical” tag for pages on your blog. This helps search engines to determine the original source URLs of content on your blog and eliminates duplicate content issues from WordPress sites. A cloud server is a virtual server running in a cloud computing environment that is hosted and delivered through a cloud computing platform via the internet which can be accessed remotely. Cloud servers have all the software that is required to run and can function independently as a unit. Below are some benefits that could can give you. * Cloud server are scalable, they are very easy and quick to upgrade by adding more memory and disk space. * Cloud server can provide user security and stability as any problems in the software are isolated within your environment. * Cloud server are stable, fast and secured. They avoid the hardware issues in physical server. * Cloud server provides faster service and more resources. Each server in the cloud helps in carrying out a particular set of tasks. Cloud servers offer more redundancy, if one server failes, other will take its place to render the required resources.